Medan is the capital city of North Sumatera and is becoming one of the biggest cities in Indonesia. Of course, there are so many good things to do in Medan that you must not miss when you visit this great city. Medan is quite popular in Indonesia despite the fact it is not as famous as Bali and Jogja. So, what can you find and do in Medan? 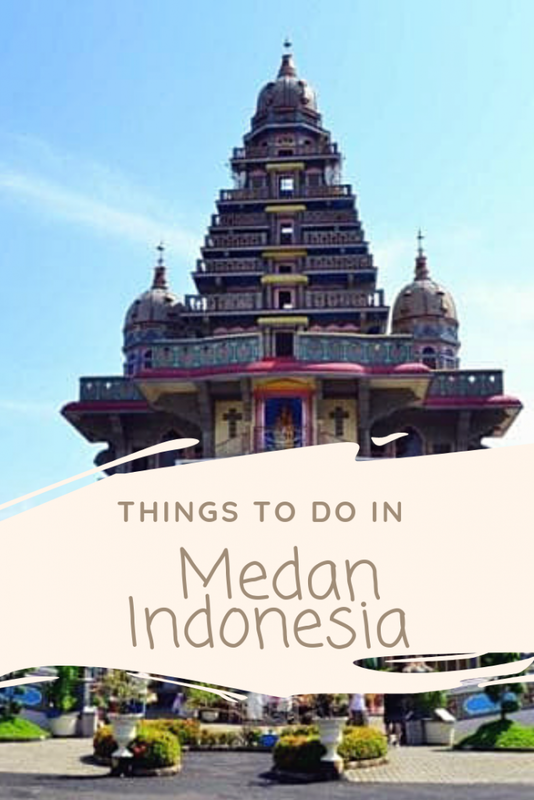 Let us find out some awesome things to do in Medan while you are there. Is Medan Indonesia Worth Visiting? Is Medan Indonesia Safe To Visit? Where to Stay in Medan Indonesia? 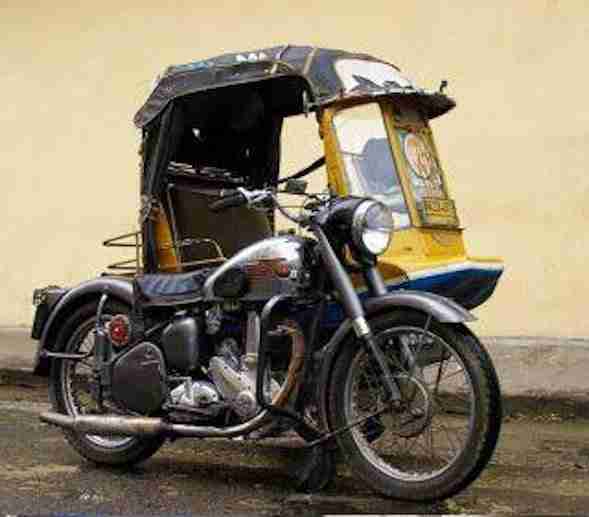 Bentor is a type of public transportation that uses motorbike like a pedicab which is fairly popular in North Sumatera. You can find this kind of pedicab in every corner of the city. When you visit Medan, you have to try this Bentor to go around the city. The local people usually rent Bentor because it is very cheap and you can go anywhere according to your wishes. You just say where you want to go and then the driver will take you there. You may go by Bentor to explore Medan city because it is not too expensive and it is also flexible. Medan city is a fairly crowded and there are about 2 million people who live in the city. There are also a lot of Chinese in Medan who own some shops. If you do not want to be stuck in a traffic jam. You can also rent a motorcycle but you have to make sure that you have a license, otherwise, you may have problems if caught by the police. If you like eating, then this is your best time to hunt some local meals to choose from in Medan. There are so many typical meals of Medan that will pamper your tongue. You may try to taste Arsik as one of the most delicious typical food in North Sumatera. Also you can also try Soto Medan and even you can try the king of fruit called Durian. You may also try Holat as the most favorite food from Mandailing and many other foods such as Bika Ambon, Bakso, Mi Sop, and much more. Medan has a long history but you can still see some historical buildings which have a lot of stories. Some of the historical buildings that you may visit are. And many more buildings since Dutch colonial era. If you really like cultural history, those places will be your favourite spots to visit when you are in Medan city. 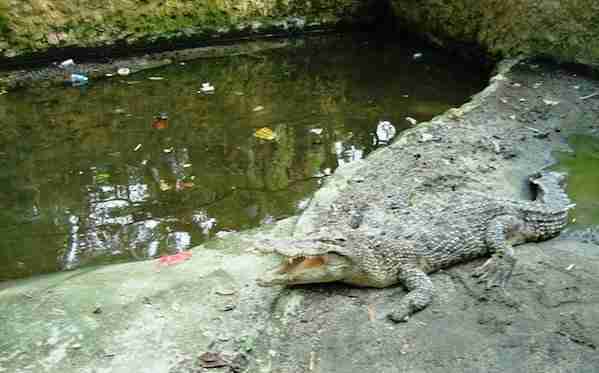 Literally Taman Buaya is called Crocodile Park. Taman Buaya is not far from Medan. It is about 5 kilometers from the city. This is the biggest reptile park in Indonesia where you can see more than 2000 crocodiles with many different sizes. Lho Than Muk is the person who had the idea to keep crocodiles in this park. If you are not afraid of crocodiles or you wonder how they look like, then you have to visit this landmark. You can go to the south of Medan and head to Tongkoh Village, Tanah Karo regency where you can see a big Pagoda as you see it in Myanmar. 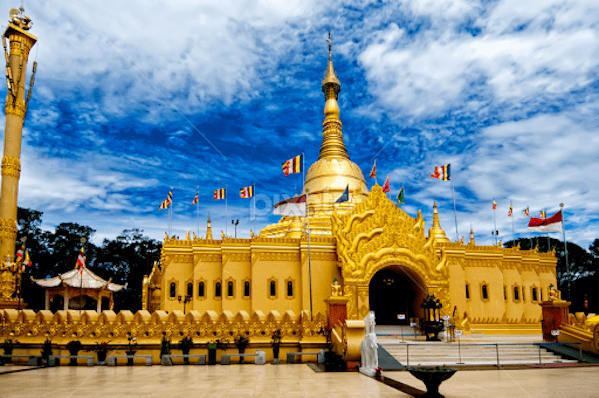 However, it is just the replication of Shwe Dagon Pagoda as the Buddhist building. Fortunately, you do not need to pay when you enter the Pagoda but you have to follow the rule and do not forget to put off your shoes. You can get to this location by renting a motorcycle because the landmark is quite isolated. The main mosque in Medan and one of the largest mosques in the city. 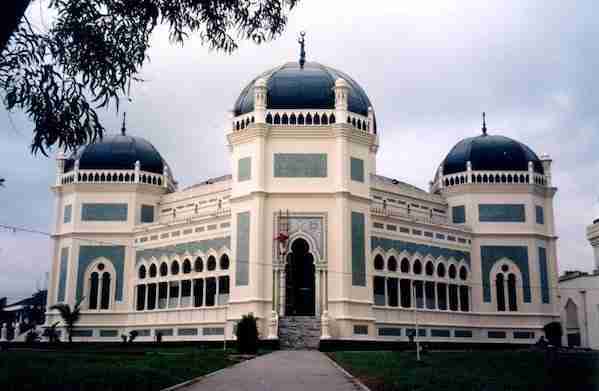 The Mesjid Raya is an interesting mix of Middle-Eastern, Indian and Spanish architecture. The mosque is made with beautifully designed marble, with stained glass windows and an immaculate octagonal design. This is the best for a cultural insight into Medans history and architecture. Expect to spend about 10,000 Rp for a visit and there is also a tip for the person who looks after your shoes. 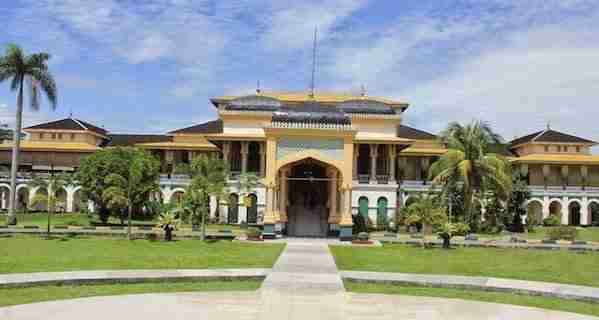 The Museum of North Sumatra is considered the best museum in the city and a must see or things to do in Medan if you want to know more about the history and culture of the province. At the museum you will find galleries that tell the story of the different periods of North Sumatran history and take you through the Hindu, Buddhist, and Muslim eras as well as the Dutch colonial period. Bukit Lawang is an Orang Utan conservation area that is located in Langkat Regency, North Sumatera. If you want to see the real Orang Utan, then you can visit this place. It takes three hours from Medan so you can reach this landmark anyway. You also do not need to worry because there are so many tourists who visit this spot every day and there are also some guides who are ready to take you to the location. Do you like nature view, especially waterfall? 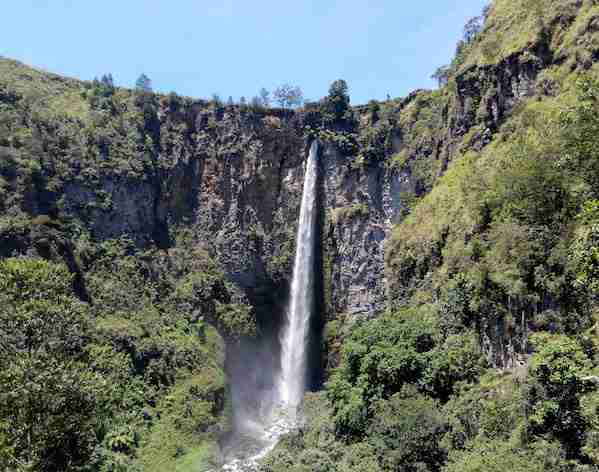 Well, Sipiso-Piso waterfall will be your best spot to enjoy your holiday along with your family when you visit Medan. This is also known as the highest waterfall in Indonesia that is worth to visit. You can enjoy the beauty of waterfall along with the view of Toba Lake. Of course, this will be your unforgettable moment ever. If you want to see one of the biggest lakes on earth, then you may only see it in North Sumatera, Indonesia. When you visit Medan for holiday, it will be perfect if you also come to Toba Lake to enjoy its wonderful view and greatness. 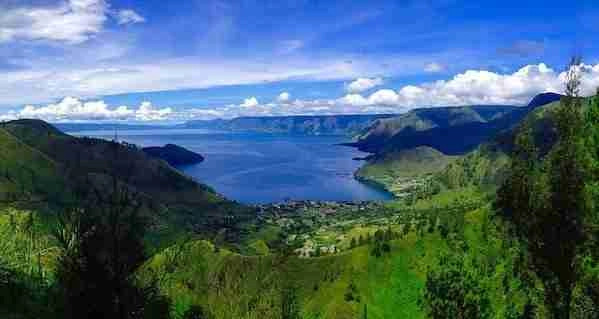 Toba Lake was known as the biggest volcano on earth but now it has become a great lake with an island in the middle of the lake. Many foreign tourists come to Medan because they want to see this beautiful and amazing lake. If you want to get there, it takes 4 hours from Medan and you can stay in Toba Lake by renting a villa or a hotel available. Before you return to your country, you probably want to shop some items as souvenirs. You can buy so many items in Medan as souvenirs. Medan also has so many malls that you can visit. You can buy some casual shirts with “Toba Lake” written on them. 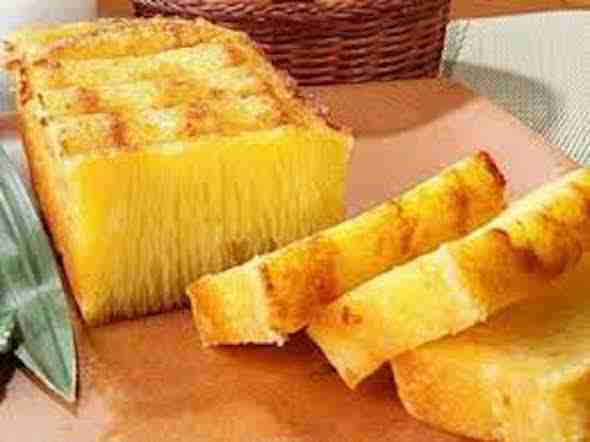 You also must not forget to buy Bika Ambon as the most favourite cake in Medan. Well, those are several things to do in Medan North Sumatera when you spend your holiday in this city. You can say “Horas” to the local people when you arrive at the city. In fact, there are so many other activities that you may do in Medan. If you like beach view, you may come to Bali Indah Lestari beach or Cermin Beach that are located in the eastern part of Medan. You also must not forget to invite your family members because your holiday will be perfect if you spend it along with your loved ones. Simply Medan is quite famous for its food. If you visit Medan, there are many kinds of local food which are worth to try. Here is only a few to try, there is loads that I could mention. Also there is the Ulos cloth. Ulos cloth is a special fabric as well as the pride of the people of North Sumatra. This cloth must be used in a variety of special occasions ranging from weddings, funerals to welcoming guests. This depends if you are interested in doing stuff like museums as Medan does not have any attractions worth the time and effort you need to invest to visit them. If you are into culinary tourism, then yes. In short, yes its safe. but “safe” doesn’t mean zero crime. But Basic rules and common sense apply. Indonesia is not a wealthy country so don’t bring all your money around and keep it in your hotel safe. Don’t be flash with your money either. Muggers and pickpockets are a problem in Medan and something to be aware of. In short do not do what you also wouldn’t do back home. Ignore anyone who is overly friendly with you, just smile and keep walking. Also be aware of the crazy traffic, crazy driving, manholes on sidewalks, open sewage and the fumes from all the cars, mopeds and bentors. Medan has loads of guest houses, hostels, and hotels. Here are a few places to check out if you are planning to visit Medan. This hostel comes with free WiFi and a garden. MM Capsule Hostel Medan offers rooms in Medan. Certain rooms include a kitchenette with a microwave, a toaster and a fridge. At MM Capsule Hostel Medan all rooms are fitted with a shared bathroom. Hotel Deli River is located in Medan City, surrounded by tropical greenery and natural landscapes. Overlooking the Sumatran Jungle, it also offers free Wi-Fi access. Rooms at Deli River are spacious and well-equipped with air conditioning and a private bathroom. JW Marriott Hotel Medan offers air-conditioned accommodation with flat-screen cable TVs. It features an outdoor pool, a 24-hour fitness centre, a spa and 6 dining options. A 10-minute drive from Medan Walk shopping centre and Thamrin Plaza, Codela Hotel Medan houses a restaurant and a 24-hour front desk. It offers massage service and free on-site parking. Wi-Fi is accessible for free in all areas. Air-conditioned rooms each come with a flat-screen cable TV, while the en suite bathrooms include towels and shower facilities. Finally, there is so many great things to do in Medan with loads of resorts, restaurants, activities and bars to keep you busy. Medan is the place to go if you want to relax and explore. And that’s it for now! I’d love to know if this guide on the things to do in Medan has helped you. Let me know if you have any questions and let me know if you go too.